Jiangsu expects more rainfall and possibly violent weather again this week, and the central government is responding in much the same way it has for other provinces already hit by extensive flooding. According to a report in today’s edition of People’s Daily, Jiangsu will receive 160 million RMB in disaster relief. 30 million RMB is allocated as relief for lost agricultural production in the province, with another 30 million RMB to subsidize measures taken to deal with flooding and the loss of water supplies that’s been creating here. But the remaining 100 million RMB is earmarked as living allowances and housing reconstruction for those displaced by the cyclone [龙卷风] that struck Yancheng. That’s because Beijing’s current focus is on helping those affected by the storms that hit Yancheng. The account in People’s Daily--the Communist party’s flagship newspaper after all--devoted a full half-page of coverage to the recovery effort—a clear signal to officials and bureaucrats that the central government is not only dedicated to assisting, it’s also keen to direct the narrative, taking credit from on-high. For example, the Ministry of Civil Affairs has already sent “1,000 tents, 2,000 folding beds, 10 sets of site lighting and other central relief reserve materials have all arrived in the disaster area”. The Ministry of Agriculture has also formed a steering group to “guide the local agricultural sector, improve agricultural production and disaster recovery”. In other words, this will be Beijing’s story to tell—a tale of help and heroism from the top, of assistance without which Jiangsu and its residents would apparently be lost. 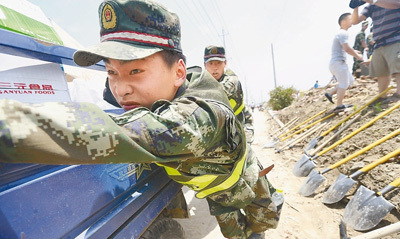 Put more starkly, the flooding that’s sure to swell in Jiangsu in the coming days has taken second place to the short-term relief of Yancheng and other towns hit by the cyclone. Meanwhile, local officials in the various hills that ring Nanjing proper are confronting their own problems. 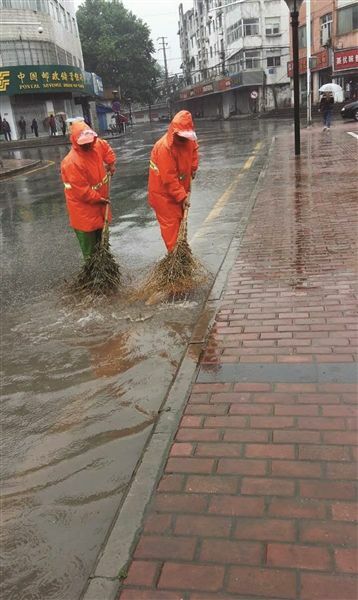 Before this month's heavy rains, precipitation and runoff was largely diverted to Nanjing. 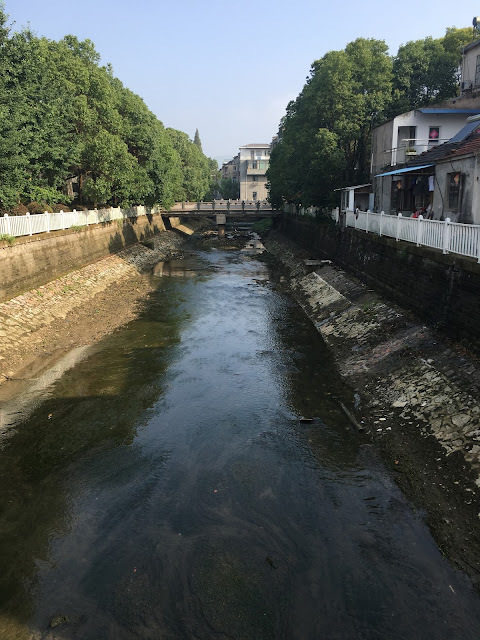 The major reason for that pushing that water to Nanjing is because townships and local officials answer to Nanjing: They’ve been incorporated into the city administration zone in recent years, and their autonomy undercut. When local authorities wanted to hold on to water, they pretty much had to ask permission. Moreover, as farming communities on Nanjing’s outskirts are increasingly displaced by housing projects, government officials see little reason to retain water for local irrigation—water that was instead used in the city for commercial industries and newly-built communities. What water Nanjing doesn’t use gets dumped into the Yangtze River. Aqueducts that had been providing water for area farms outside Nanjing and that had been a common feature of the local countryside aren’t being maintained; in some cases, they’ve been dismantled to make way for new buildings, especially spas and private clubs built over the mountain springs to the east of Nanjing. In those townships, it’s been rare to see water remaining very long before it was sent downhill and downstream to downtown. At least some of Nanjing’s adjoining eastern townships seem to be under a new directive to hold whatever water they have until further notice. It’s very probable that’s occurring because Nanjing may soon be under a flood threat. But whether those instructions are coming from Nanjing itself, Jiangsu, or the central government is not clear. The command would be an internal one, for restricted circulation within various official departments and bureaus, so it’s difficult to be certain. And there wouldn’t be a campaign to get residents to contribute, because the political system works by acclamation, not participation. So there’s no public announcement by which to confirm. Still, what seems to be happening here is this: While the results of earlier rains outside Nanjing ended up being quickly pushed down the hills, at least for the present moment, the water isn’t being allowed to go anywhere. Indeed, local dam gates have been closed to trap water flowing from higher elevations. It's not a lot of water yet, but even a little not going a long way is a problem for local officials. How long this situation will last isn’t clear, either; but with a forecast for the next 7-10 days of rain and thunderstorms, townships and counties around Nanjing may be hard-pressed to prevent local flooding of their own. And unlike Nanjing, they’re not well-equipped to handle heavy rain because they’ve never had to develop the local facilities or resources to have to do so. Yancheng needs all the assistance it can get, of course. It’s a tragedy, and its victims require care. But Nanjing’s adjoining townships may not be far behind in wanting more consideration than they’re currently receiving.